Some puppies can take a long time to learn to toilet outside, and, all the time they soil the house, some of the delights of owning a new puppy are diminished. 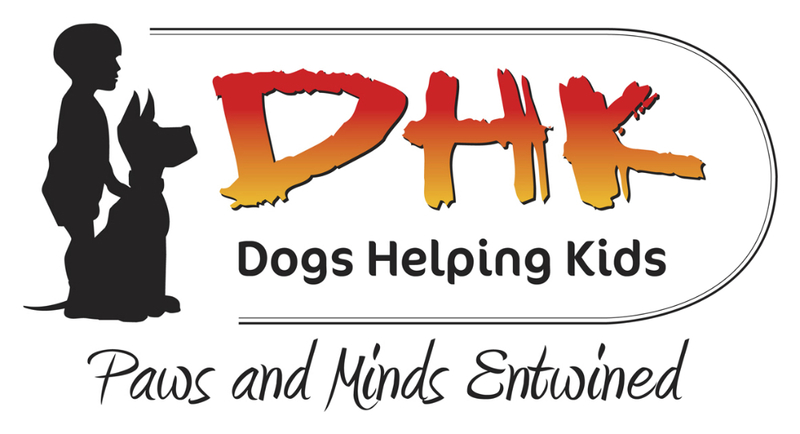 Finding out what is going wrong and helping your puppy to learn what is required can get your puppy and your house clean again fast. First you need to clean soiled areas like you’ve never cleaned before, using a product from the vets to remove the smells that only your puppy can smell. 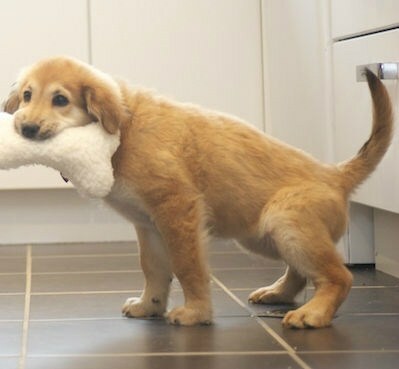 When inside, watch your puppy constantly and always be aware of what he is doing. Take him out when he looks as though he might need to go and begins to sniff and circle. If your puppy starts to toilet inside, call excitedly and rush towards the door, encouraging him to run with you. Go outside with him and wait until he has finished what he started. Expect occasional accidents if you do not see the warning signs in time. Do not punish. This will confuse and frighten him and the process will take much longer. 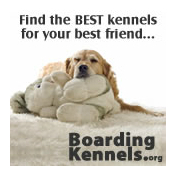 During the first 2 weeks, it is better not to leave your puppy alone so ask for help from trusted friends and family. If you have no choice, cover a small room with polythene and newspaper, give him a bed and things to do, and make sure you take him out before you leave and when you return. At night, take him to your room but confine him to his bed, then take him outside when he wakes up during the night so he can be clean. Continue until he is completely house trained before moving him back to sleep alone. 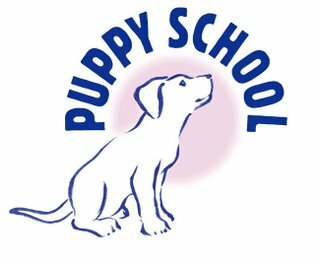 For all house training problems, make sure that your puppy has seen a veterinary surgeon to rule out any disease or condition that could be responsible. There are many reasons why the house training process can go wrong. Your puppy can be worried about using the garden or outside as a toilet, due to a previous bad experience, or because other dogs toilet there, or because people are putting too much pressure on him to toilet when they are out together. He may have been raised in place where there was no differentiation between bed and toilet area and so has learned not to bother being clean. He may be choosing to go on concrete or carpet since these were the only substrates available when he was with the litter, or he may be being left for too long and cannot hold on. 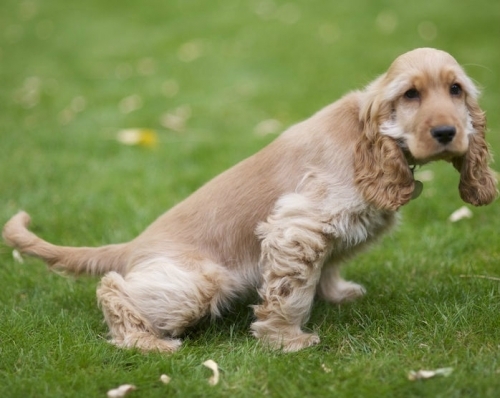 If a puppy is punished for toileting in front of humans, he may be sneaking away out of sight behind furniture in the house to toilet, and this can make him more difficult to train. You could be making a small mistake in the house training process, such a leaving him outside alone to toilet, or picking him up to take him outside when he needs to go. Each of these problems will require a different solution, many of which become obvious once you have discovered what the problem is. There are also some house-soiling problems that cannot be attributed to lack of house training. These include sudden changes in routine or lack of routine, urinating when greeted, incontinence due to a medical issue, tension or stress in the household, and anxieties when left alone. All of these problems need very targeted solutions so that the puppy is able to return to being clean in the house. For some puppies, this problem may simply be a bad habit or lack of house training, or it could be that the timing of feeding/exercising is causing him to need to go during the night. It could be that the puppy is anxious when left alone, or he could be too cold during the night or he may be being woken up in the early morning so that he has a need to go before his humans are up and able to take him out. Solving these problems relies on making it easy for the puppy to toilet at the appropriate time, or helping him overcome the anxiety when alone.